A San Francisco cable car holds 60 people. This blog was viewed about 1,600 times in 2013. If it were a cable car, it would take about 27 trips to carry that many people. The company that I had worked for the last seven years decided not to renew my contract because there is no more money left in producing DVD recorders for next year. Half of my colleagues had either left the company or are going to be transferred to the other departments and divisions of the company. Some of them are having their early retirement with their retrenchment benefits. Within those seven years, I had tried to secure a stable employment at the company and other companies, but was unsuccessful. Nine more days I will be jobless and my main source of income is gone, cut off. Now I’m depending on my online incomes from Nuffnang, TLA and Google Adsense. Why do someone do not want to hire me? Is it because of my resume? Or is it because of my high expectation salary? Or is it because of my age? Or is it because of my race and religion? I only received ONE interview (the interviewer had spied on me by asking one of my ex-colleague who is working there) after sending thousands of applications. For me, it’s their great loss of not employing me as now I got the opportunity to start a new career in a field that I have a whole lot more passion for. Now I had a good reason to become a pro-blogger like John Chow. I hope with this, I will be a lot wealthier, happier and have a greater sense of freedom and purpose. Chinese New Year is coming, it’s a best time to take a break. So where should be the best and cheap place to go? Most of time I went to Malaysia for holidays, so maybe this time I’ll go to Indonesia. Which part of Indonesia should I go? Batam??? 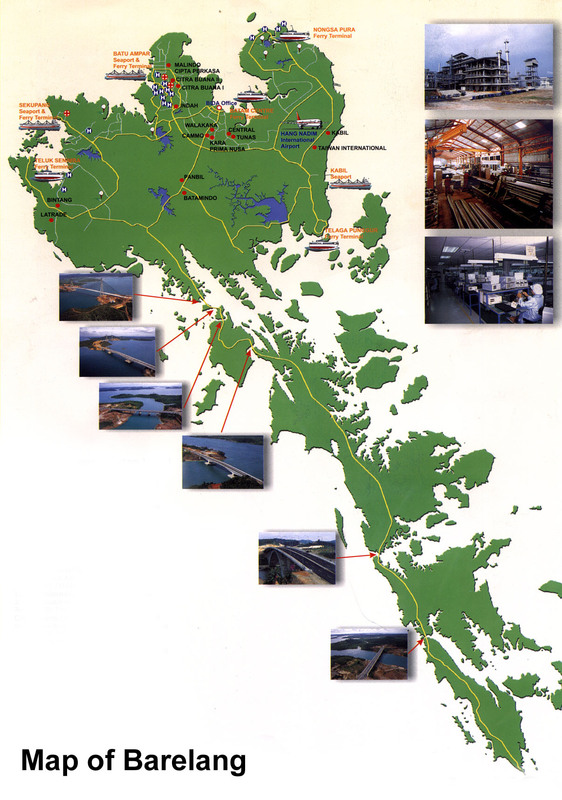 Why Batam? City infomation here. What they got? Cable Ski Park! 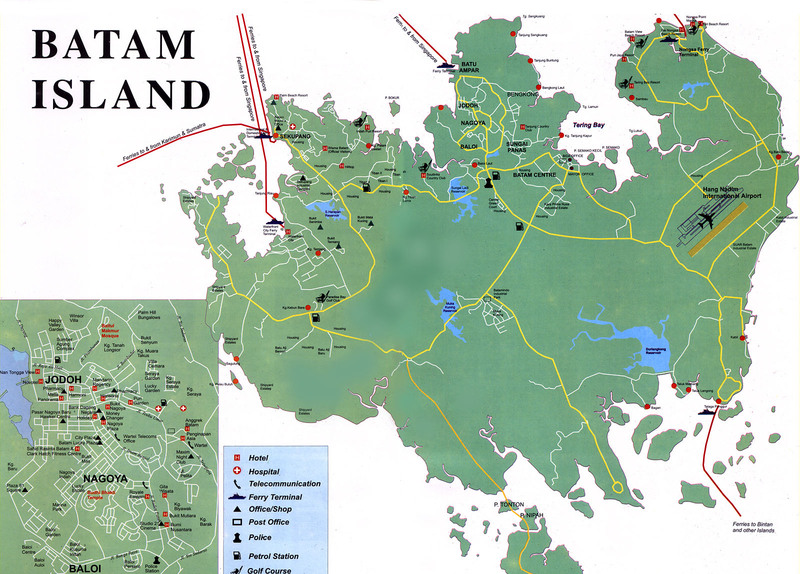 Bintan anyone? 55 minutes from Changi Jetty. Read more here. WikiTravel & Travel Guide. Or Bali? Hopely there no more bom blast there. Bali guide here and here. Maybe Medan? Read more here. Maybe can try Sibu Island or Langkawi (Guide here). Or maybe go to St John’s Island again? Ferry schedule here. Avis, Hawk, May Flower or Orix. AGAINST the advice of his lecturer, polytechnic graduate Darran Nathan turned his back on a university studies to start his own company. That was in 2000. 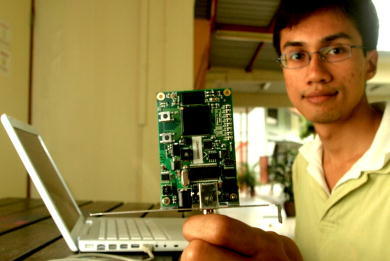 He had just completed his studies in electronic and computer engineering at Ngee Ann Polytechnic. He did not embark on his dream right away, going on to complete National Service and doing research for a year at the polytechnic first. But he held his dream fast in his mind. Now, Mr Nathan, 26, is the jet-setting head of a year-old IT company, Progeniq. It is run in a small office on the National University of Singapore campus. And it has developed a product with the assistance of computer giant Apple. Called the BioBoost accelerator, it harnesses the power of Intel-based Mac computers to speed up applications used in life sciences. It’s what Mr Nathan calls ‘a major milestone in bringing new generation computing technologies to the life sciences industry at mass-market cost’. Mr Ron Okamoto, Apple’s vice-president of worldwide developer relations, said in an e-mail response to The New Paper that the company was thrilled to see a universal version of BioBoost, which was launched in August. Most of Progeniq’s clients are overseas companies from the US, Europe and the Middle East. Mr Nathan and his team spun off Progeniq from a research initiative called Project Proteus, undertaken at his polytechnic’s Digital Signal Processing Technology Centre. Mr Nathan and a co-founder, who did not want to be named, started the company with about $80,000 which they raised themselves together with funding from the polytechnic and Spring Singapore. It has been a fast ride. Just last year, the company had barely taken off. ‘We were still doing initial marketing development and targeting our first clients,’ said Mr Nathan, who was in San Francisco for BioBoost’s launch in August. To get the fledgling company off the ground, he decided to forego an overseas education. WHAT’S it like being a chief executive officer at 26? Well, let it be known that it’s not all roses. Mr Nathan said he has had to give up much of his free time. He usually spends more than 12 hours a day at the office, video-conferencing with overseas clients and meeting business partners. He also travels regularly to countries, including the UK, India and Japan. His trips are not just to sell his company’s products – but also to speak about his experience as a young entrepreneur. When he does get a chance, he catches up with old friends. ‘But there are sacrifices – especially in time spent with family and friends,’ he said. However, his parents – his father is a businessman and mother a housewife – have been supportive. And the sacrifice has been worthwhile. Here are the videos while we were at the Genting Highlands a year ago.